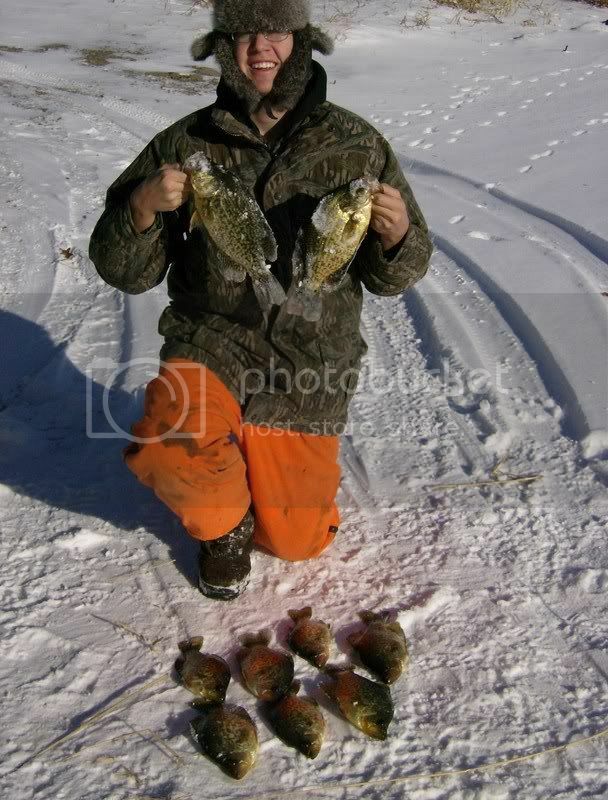 Posts 1 through 10 for High pressure & yet still got slabs! It was 30.69.Cold too,down to 10 below.The battery in my boy vehicle took a crap.Bought a new one & got out late. 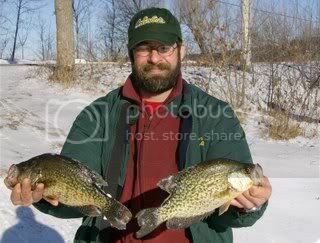 The crappies would oly rise 2 foot instead of 4.We still caught 30 ,but alot of little tiney ones which is indicative of high pressure.Still drilled some slabs with the biggest 14&1/2". This video was when I 1st got there.Everything was a tad foggy. I see another very successful day on the ice for you....great job..
Why Kevin,you are talking about me,is there ever a doubt! Now that I'm on the ice it's all over but the cryin!!! 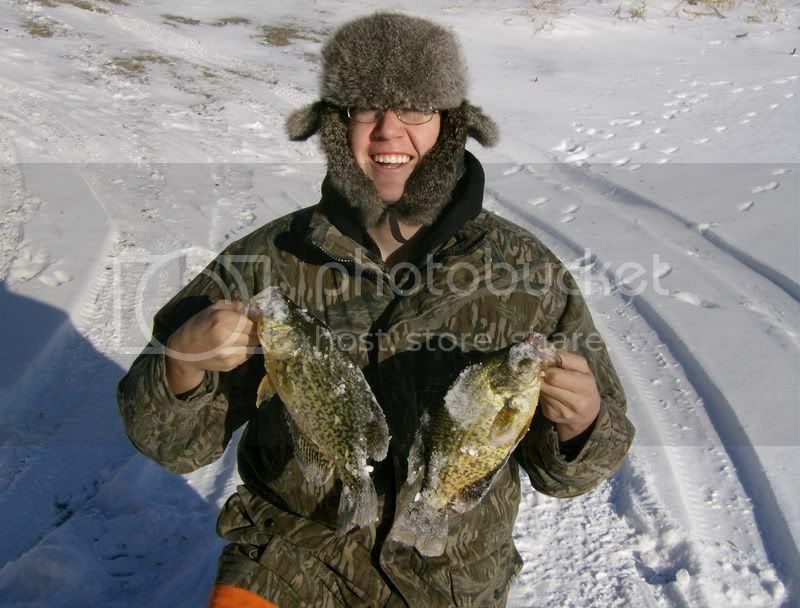 You guys must be eating crappie everyday for breakfast lunch and dinner the way you are pulling them out of there. I do eat good in the neighborhood.So does my boss ,my 80 year old neighbor and a few old gals that do not have hubbies anymore to go get them. Thats cool you are able to get food for the masses. It keeps people fed and it keeps you under the daily possession limit. Nice work. For a long time my dad and I gave all of our fish we caught to one of my aunts who couldn't eat any meat except for fish due to a medical condition. Fish bought in the store can get expensive so it was nice to help her out a little. In turn it gave us the ability to go out and catch and keep more the next day if we wanted to. Fresh fish, I'm droolin' on my lap. Those are some more great pictures! I'm still trying to figure out when I'm going to make it up there to partake in the FUN!